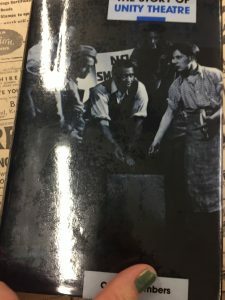 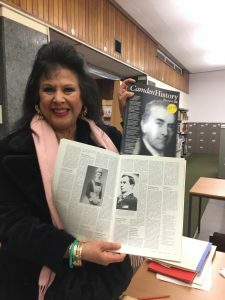 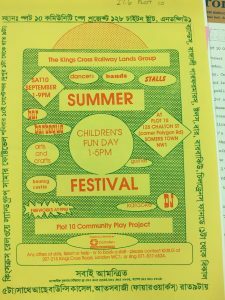 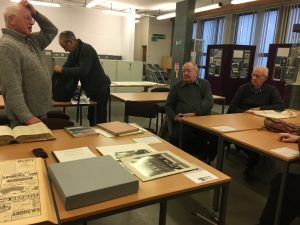 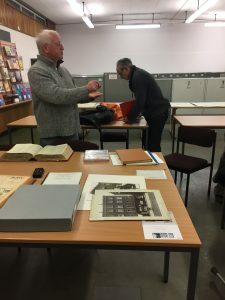 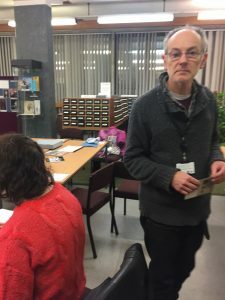 The club and members had the fortune to have a guided tour to the archives by ex-archivist Malcolm Holmes, in 2017 revealing much of interest to researching Somers Town, including old newsletters for festivals. 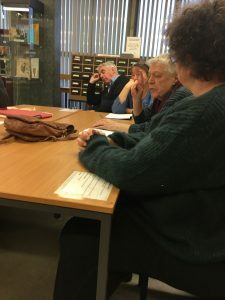 We were accompanied by Sue Crockford, filmmaker of the Somers Town film recording the St Pancras Housing Society and slum clearance. 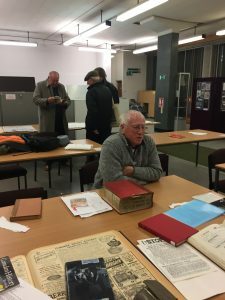 Thanks to the Archivist Tudor Allen for facilitating. 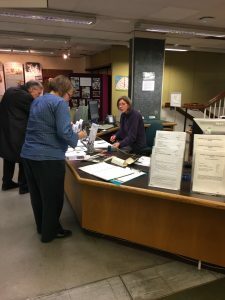 Folder and files on Somers town. 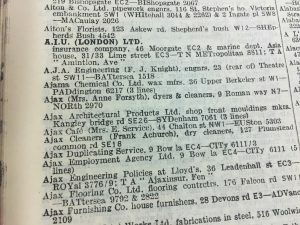 Listing for an ‘Ajax’ cafe in chalton st.
Locals at the Archive – George, Danny and Alan.